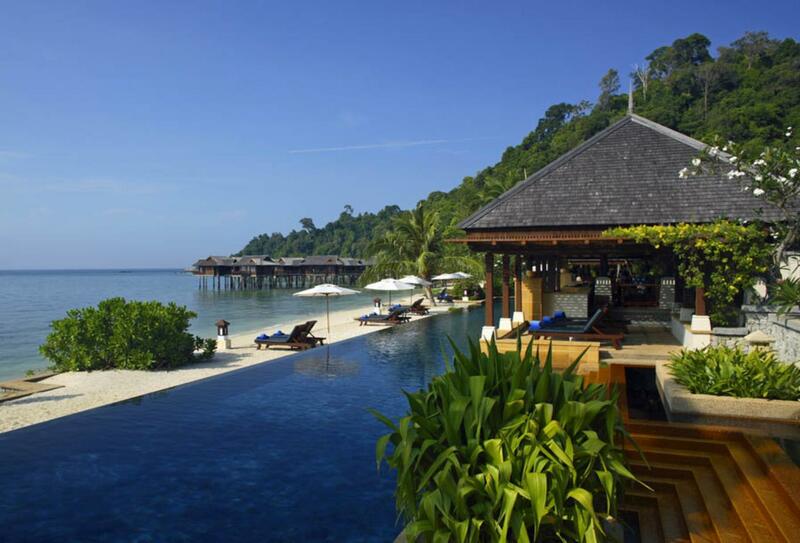 A previous winner of Conde Nast’s highly coveted Number One Resort in the World, Pangkor Laut Resort offers dreamlike seascapes, idyllic over-water accommodation and infinity pools surrounded by tropical palms. You’ll find traditional Malay dishes and international cuisine served at several restaurants and bars, as well as private dining experiences for romantic moments. Along with the tranquil spa, there are a range of activities to choose from including jungle trekking, fishing, snorkelling and water sports. 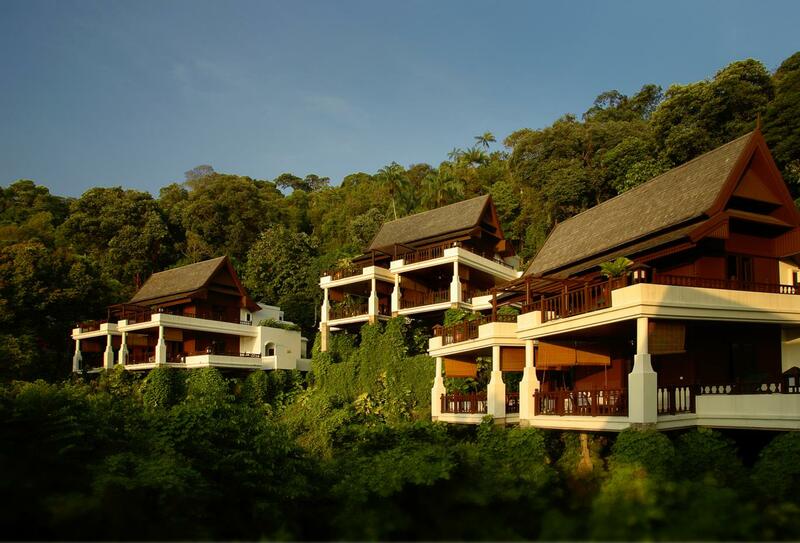 Hill Villas are perched dramatically on the hillside amidst the rainforest and enjoy magnificent views of the tropical gardens. Enjoy a bathtub that opens out on to the rainforest from the ground floor and a large indoor bathtub on the first floor. Featuring a private furnished balcony as well as a bathroom and private outdoor courtyard, these scenic villas enjoy stunning views over the ocean. 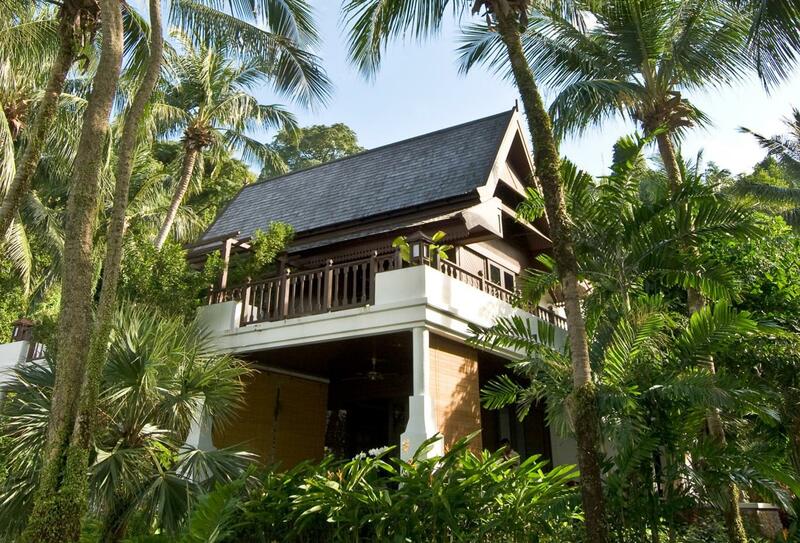 These delightful villas stand on stilts over the sea and are linked by wooden walkways. 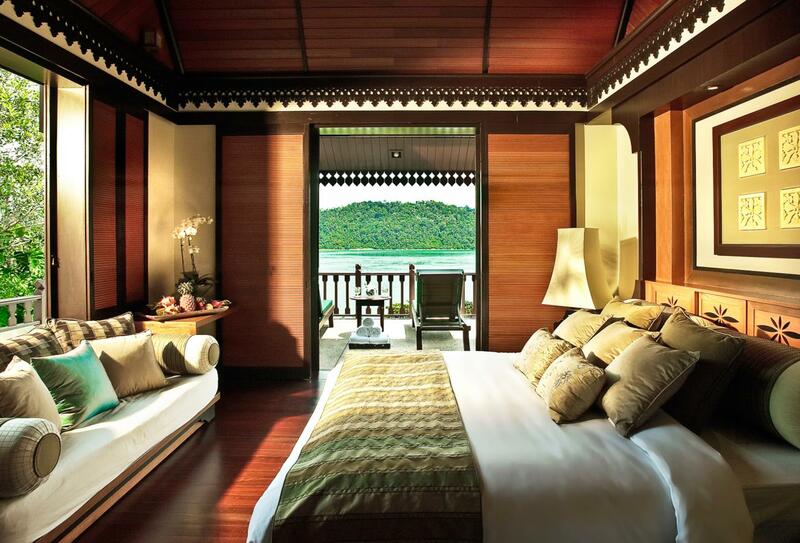 Other features include a large balcony with sun loungers and a ceiling-mounted shower that opens onto the sea. 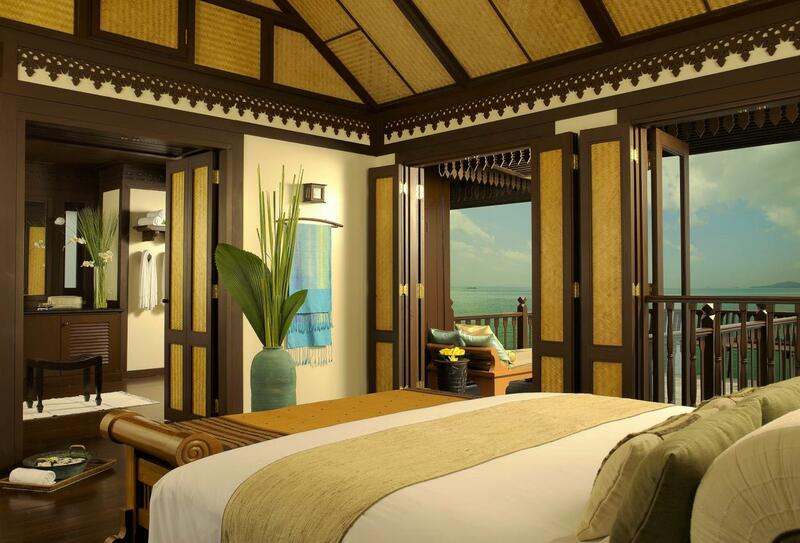 Spa Villas are private bungalows on stilts over the sea offering access to the Spa Village. 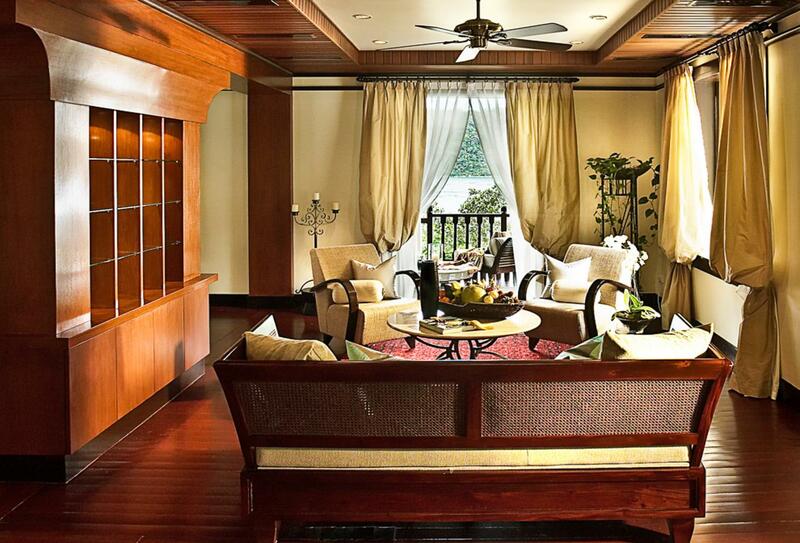 All enjoy oversized baths with ceiling-mounted showers plus a private balcony overlooking the Straits of Malacca. 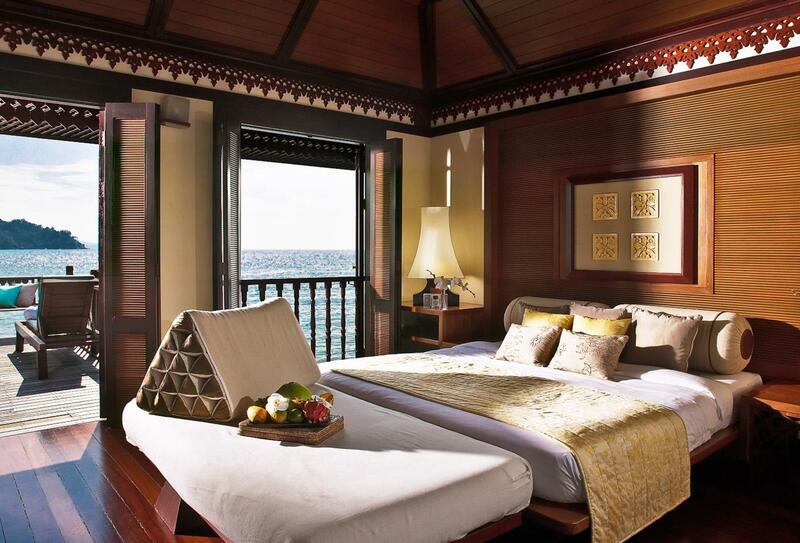 There are just two Sea Suites named Suria and Purnama which stand on stilts over the sea and feature an entrance hall, separate bedroom and an elegant lounge. 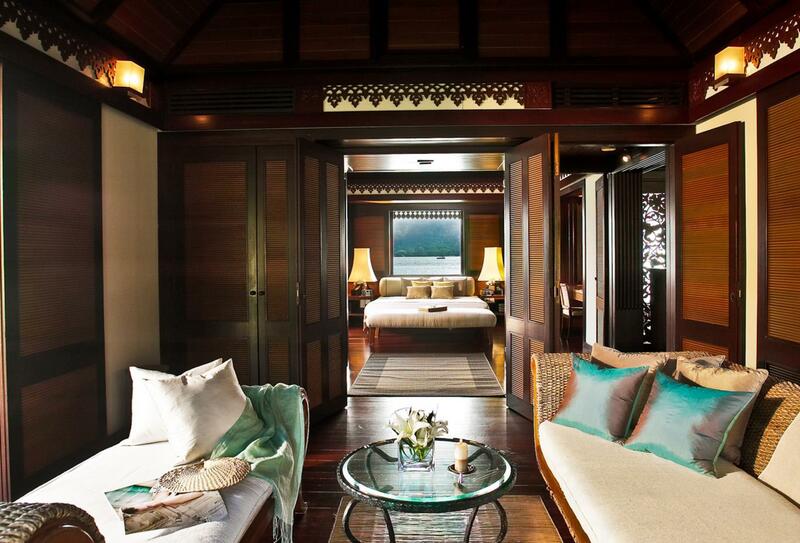 Named after the famous opera star who fell in love with Pangkor Laut on a visit, this suite, set high on the hillside, has two bedrooms and a spacious balcony with views of the sea. 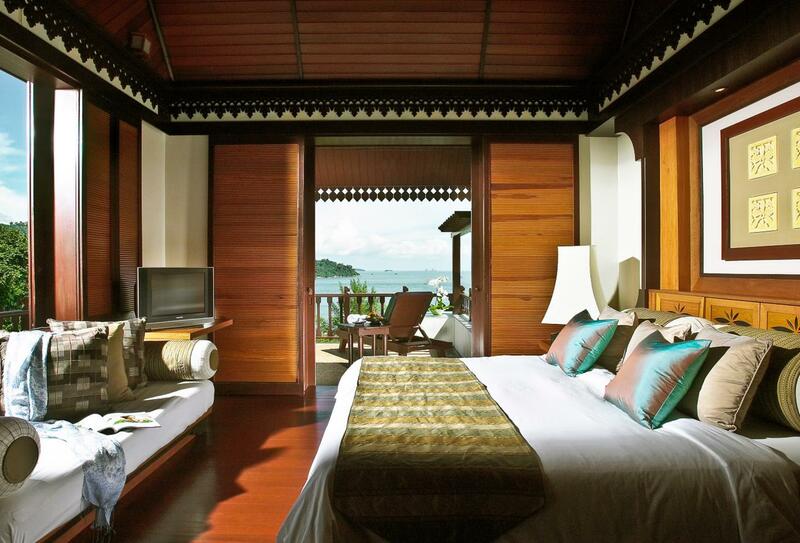 Pangko Laut Resort is a good location for your romantic retreat to Malaysia. Cost: Complimentary. Minimum stay of 3 nights applies. Copy of wedding certificate dated within 12 months required as proof. Honeymoon request must appear on reservation. Spa Village is comprised of both indoor and outdoor spaces across four-acres, offering a selection of massage and healing treatments designed to both soothe and rejuvenate. Every spa treatment begins with a unique 45-minute Bath House Ritual and treatments are conducted in private spa pavilions. Situated next to the Spa Village this venue features a unique platter of seafood themed dishes which focus on sustainable fishing practices and are created using only the freshest ingredients. This open kitchen experience is one to enjoy in this fine dining restaurant. Children under the age of 16 years are not allowed and a smart dress code is required; no flip flops, shorts, sandals or singlets should be worn. Built on a rocky outcrop overlooking the sea, a romantic venue for an evening meal. High specification Asian cooking where you’ll find some specialised Far East home-style dishes on the menu. Poolside venue serving Asian and Western favourites for lunch. 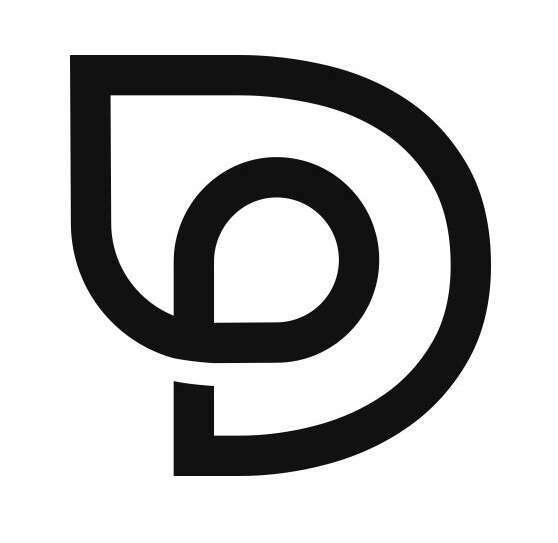 The venue is transformed into a chill out lounge at night, and you can enjoy cocktails and other drinks here. Located on Emerald Bay and open for lunch and evening cocktails. Enjoy traditional Malay satay and other local dishes as well as seafood, sandwiches and salads. 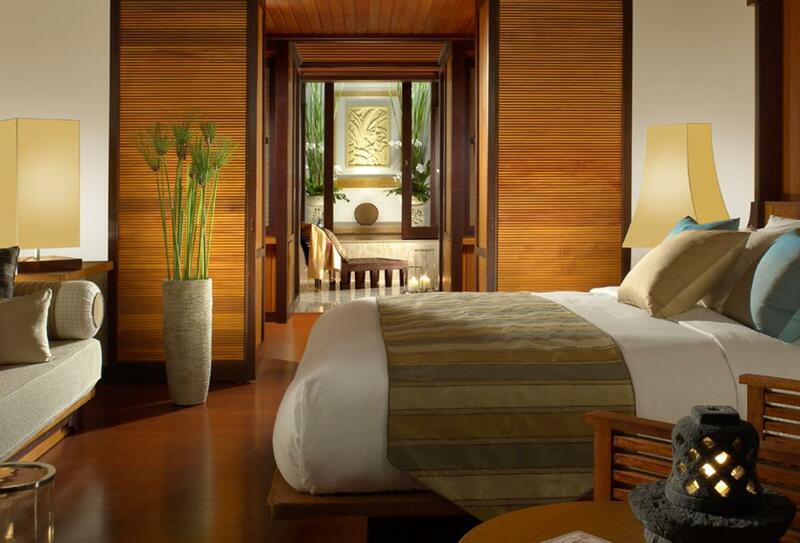 Located in the enclave of Spa Village, Jamu Bar overlooks the lap pool and the sea. The bar serves healthy salads and specialty drinks. Diversity is the key player here in terms of cuisine and style. Featuring open-show kitchens that offers a variety of cuisines for breakfast from French to local Malaysian; a patisserie, café, chef’s table and wine cellar where guests can purchase wines of their choice. For dinner, the Feast Village introduces diners to local delicacies and flavourful Malay cuisine. Explore the selection of uniquely crafted dining experiences at the Resort. Experiences range from romantic barbecue dinners on the beach, to Southeast Asian cuisine at The Straits in a private booth, where cuisine can be adapted to suite your palate. Reservations are required and can be made through the dining concierge who will assist you on a host of exclusive dining experiences. Set amid rocks overlooking the bay, this restaurant offers private booths where you can delight in Southeast Asian cuisine. Only children aged 16 years or older allowed. 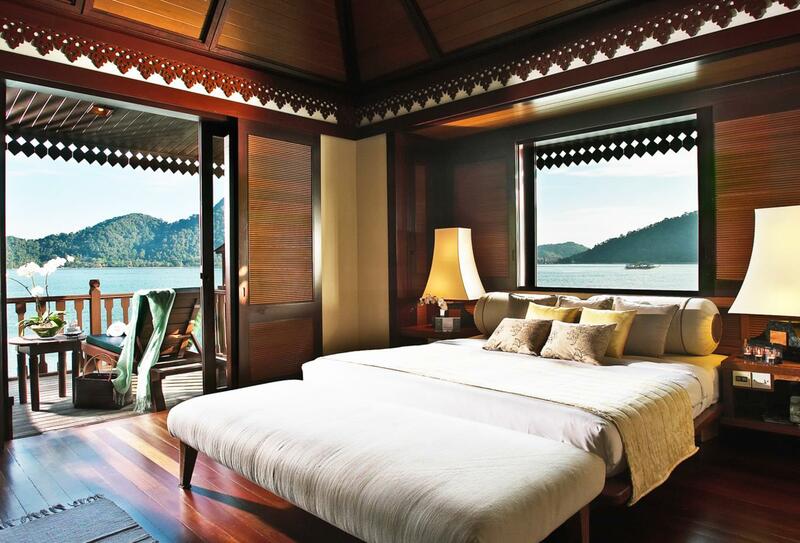 Pangkor Laut Resort is located on a private island off the East Coast of Malaysia and reached by Ferry from the Marina Island Jetty.